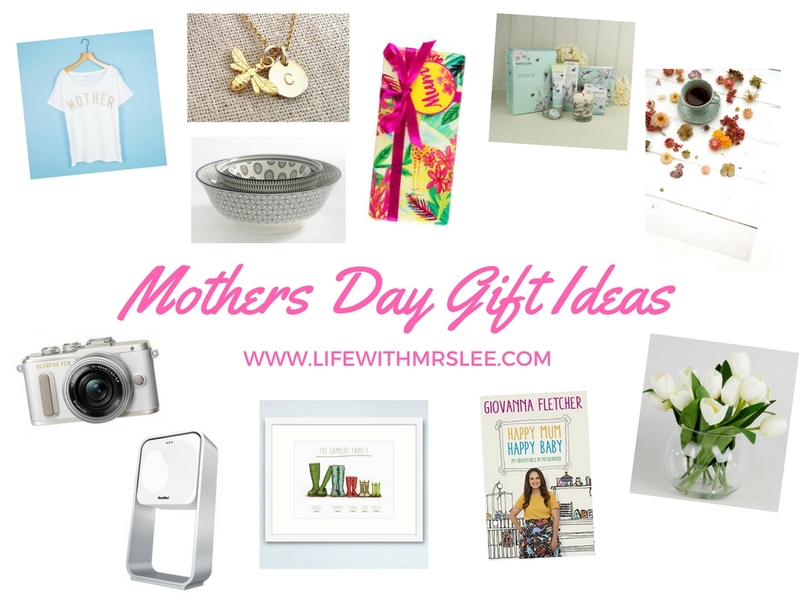 Mothers Day is fast approaching so I thought I would round up a few things that I think would make amazing gifts for all the lovely ladies in your life. I know I personally would love to receive any of these gorgeous bits. I really hope that maybe this guide gives you some ideas if you’re lacking inspiration this year. I recently won one of these awesome Tee’s and since it arrived I have been wearing it non stop. I am OBSESSED. It is super soft and cosy and it has quickly become a firm staple in my wardrobe. I am a huge Stanley & Maud fan which you will know if you follow me on Instagram as I am always wearing either my Mama bar necklace or my personalised disc necklace. When Dotty released this beautiful bee necklace, it went straight on my wish list! It’s so pretty and you can also add a personalised disc or two if you like too. This would make a beautiful present for Mothers day. How gorgeous are these little chinese bowls? I am loving all of these prints at the moment. Not only would these bowls be fab in the kitchen, I think they would be lovely for holding little trinkets and jewellery too! I was recently invited along to an event with Lush to look at the Mothers day collection and they have some absolutely gorgeous bits in this year. My favourite was the ‘Scrubee’ which smells out of this world and there is one in this gift set along with five other lovely bits. I’m confident that both my Mum and Josh’s would both love to receive this gorgeous gift set. It includes a Lavender & geranium scented candle, room diffuser & an organic lip balm. I have been lusting over Lucy’s collection of backdrops since she launched them a few months back. There are so many beautiful ones I would love but I think the white floorboards are definitely one of my favourites. I personally love receiving flowers. Tulips are one of my favourite flowers and I always get so sad when they eventually die. These artificial ones are a fab alternative and will look super pretty all year round. Giovanna Fletcher is one of my absolute favourite Mama’s to follow on social media. She is so down to earth and honest about everything to do with Motherhood so I am super excited to read her new book Happy Mum, Happy Baby. I have already heard such wonderful things about it. This print would make such a wonderful gift for any occasion! I love that it is personalised with each family members name, you can even add your pooch’s paw print too! Sleep is so important to us Mama’s and this wonderful gadget from ResMed helps you to understand your sleep issues better by giving you detailed reports of your sleep patterns. It also has a fab function which synchronises soothing sounds to your pre-sleep breathing, helping you drift off more easily. I hope this post has given you some inspiration! Lovely ideas. Would not say no to any of them but would especially love to receive a lush gift box or a camera…..or just a lie-in!